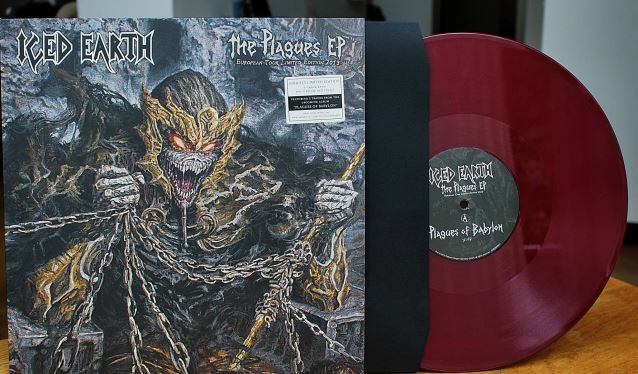 North American metallers ICED EARTH will make a special 12-inch vinyl EP available on their upcoming European tour with VOLBEAT, which kicks off October 11 in Milan, Italy and wraps December 1 in Copenhagen, Denmark. 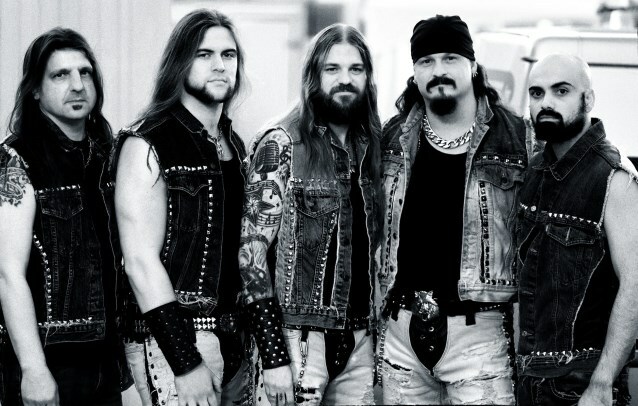 Says ICED EARTH guitarist/mainman Jon Schaffer: "This is our own project and we are really excited about it. This will be for sale only at the VOLBEAT shows, first come, first served!" He adds: "Band and crew have gathered and we have begun rehearsals for the VOLBEAT tour that kicks off this Friday in Milan. We are really excited to begin this new touring cycle even though it feels like the previous one only ended yesterday. It will certainly be killer to see you guys out there and hang with my brother Michael and the guys in VOLBEAT and their team." 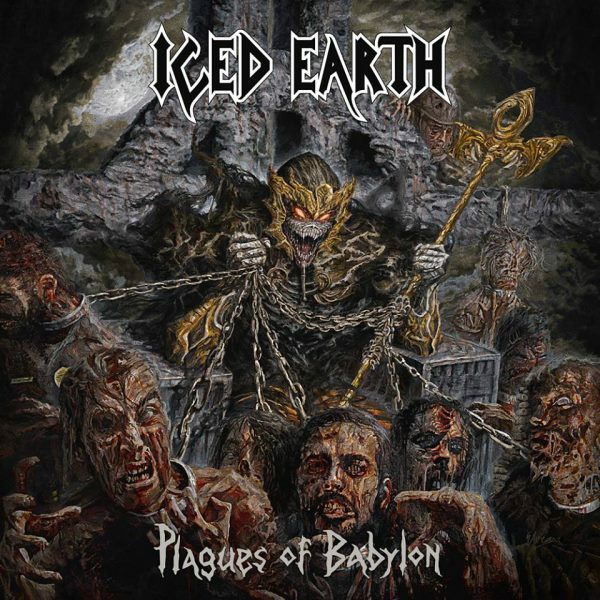 ICED EARTH will release its new album, "Plagues Of Babylon", for a January 2014 via Century Media Records. The cover artwork was created and illustrated by Eliran Kantor (TESTAMENT, ATHEIST, SIGH, ANACRUSIS, GWAR).